GravitasMD is a full-featured, modern, Electronic Health Record (EHR) and Practice Management (PM) solution that has been designed to be a straight-forward, functional system that is easy to implement, easy to use, and that gives your providers and your staff the tools you need to effectively manage your patients and your practice. GravitasHP can provide your organization with a web-based interface that allows you to efficiently and effectively process your claims! Immediately receive and review 837P claims from GravitasMD subscribers. HIMSS is the leading health information and technology conference, bringing together 45,000+ professionals from 90+ countries for the education, innovation and collaboration they need to transform health through information and technology – all at one time, all in one place. Come visit GravitasMD this year at Booth 3592 in Orlando and learn more about the future of modern EHR software. GravitasMD has integrated reporting solutions that help you meet your meaningful use criteria and provide you with timely, meaningful financial analytics and customized medical billing reports that help you maximize financial performance. 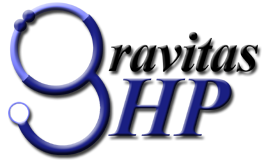 GravitasMD provides a better service at a lower cost than other EHR solutions on the market. Our Dashboards simplify system use and put required information and features right at your fingertips. Straight-forward workflow-based charting that makes it simple and easy to capture patient encounters. Electronically submit and renew prescriptions (including EPCS) and minimize your phone calls and paperwork. Electronically submit and receive all your lab orders, eliminating inefficient paper based processes. GravitasMD has an integrated appointment/schedule management system that makes it easier for your staff to set and manage appointment scheduling. 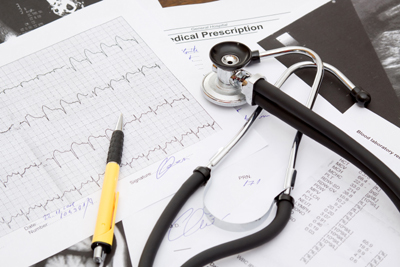 Communicate with your patients and share medical and billing information securely at any time. Access a full suite of customizable reports that increase your understanding of what is going on in your practice. GravitasMD has an integrated Practice Management System that provides your billing staff to review claims, submit them electronically, then reconcile. 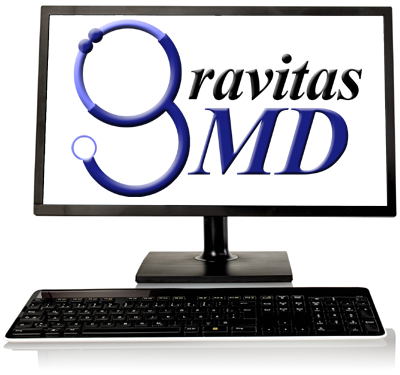 GravitasMD has integrated on-screen patient alerts reminding your of any previous critical medical conditions. You can even create your own alerts! No more paying for other systems. Everything you need for a single, simple price. Scheduling, Charting, ePrescriptions, eLabs, Practice Management, all in one single solution and interface. Supports ICD-10 by design, not by trying to be "compatible." No hardware or software costs. 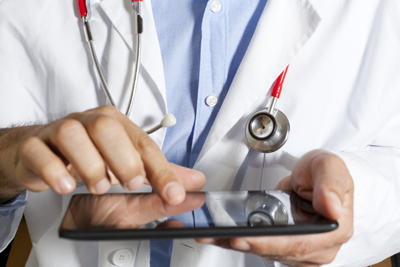 Access your patient data anytime, from anywhere. You control your users and their permissions to only give access to the features they require to do their job. 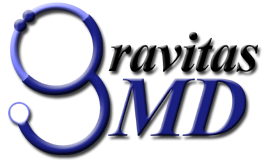 GravitasMD uses 2048-bit Secure Socket Layer (SSL) for all communications.